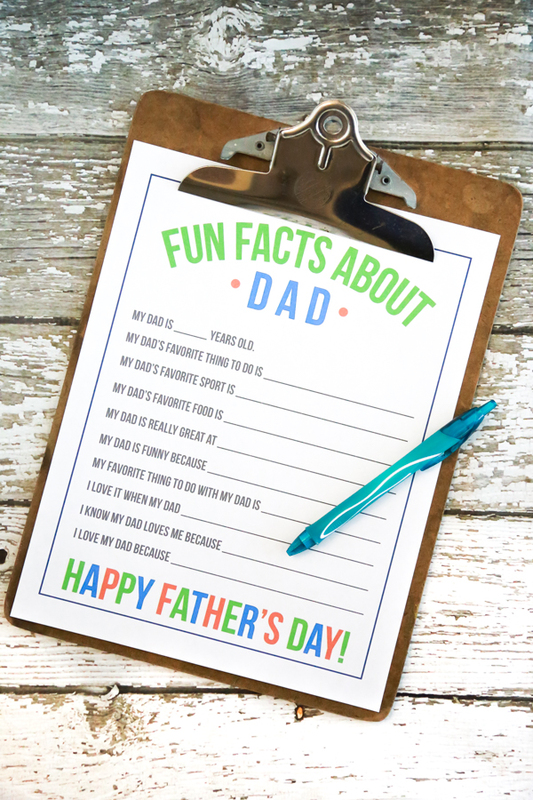 Print this FREE Fun Facts About Dad Printable for Father’s Day so that your kids can surprise Dad on his special day. When my children were in public school I used to love the little printables they would bring home from school for Mother’s Day. When they were in the younger grades, I remember laughing so hard at some of their responses. I can only imagine the laughs their teachers had at my expense. It didn’t dawn on me until my husband mentioned it that he didn’t get to experience those little printables because Father’s Day was in June when school was out for the summer. I started thinking that maybe my husband wasn’t the only father feeling this way so I wanted to make this Father’s Day printable so that fathers could experience it too. Father’s Day is coming up and if you’re looking for something fun for your kids to do for Dad, this Father’s Day printable is perfect. 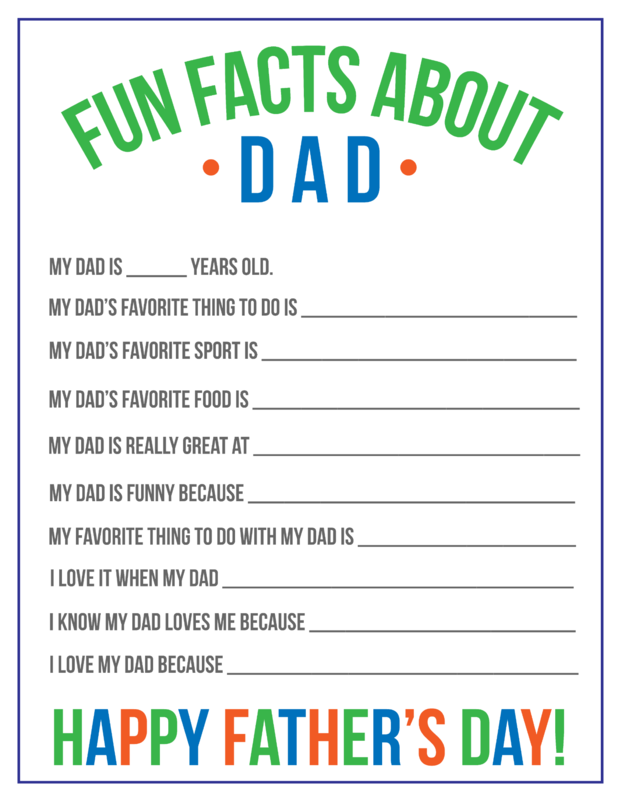 Give Dad a laugh this Father’s Day by having your kids fill out this Fun Facts About Dad printable. 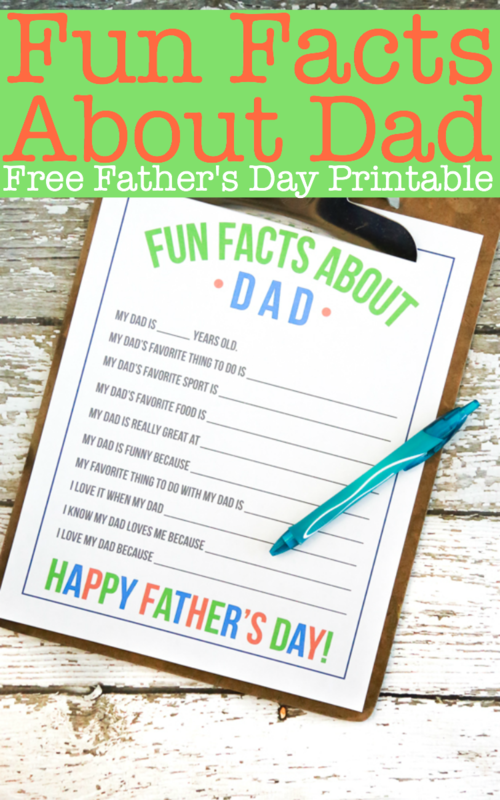 This free Fun Facts About Dad Printable for Father’s Day is available in a PDF format so that you can easily download and print from your home printer. If you need it in a different format, please just comment below or send me an email and I’ll try to accommodate you the best I can. All you have to do is print the free Father’s Day printable and have your children write out their responses. If your children are too young to write their responses, ask them the questions and then write down the responses for them. 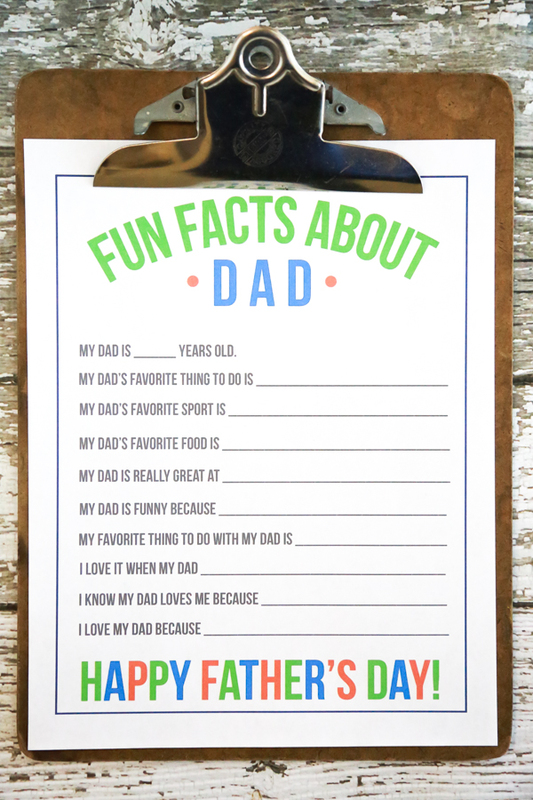 We all know how incredibly funny and honest children can be, so just imagine all the funny stuff your children will write on this Fun Facts About Dad printable. I hope your children enjoy filling this out and surprising Dad on Father’s Day! Don’t forget to pin this free Father’s Day printable to one of your favorite boards on Pinterest so that you don’t lose it. That’s really pretty cute! Any dad would appreciate the thought behind this type of thing I’m sure! Oh I cant wait til Liam is old enough to do something like this! Its so cute! This is really cute! I can think of lots of Dads who would love something like this from their kids. That is such a cute idea. There’s always so much for Mother’s Day, but not a lot for Father’s Day. As a dad, I would love to receive something like this. Really lets you know what impression you’re making on them. What a fun printable to fill out for Father’s Day! My oldest would totally love to make one for her daddy. Awe, this is cute. Even my older kiddos could fill one out for their daddy-o. This is such a cute and creative idea. 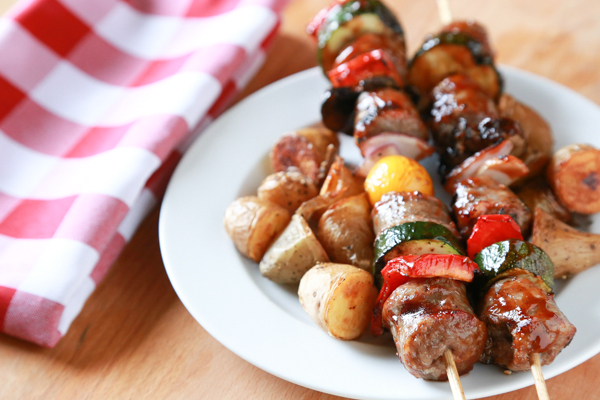 It’s a great way to recognize all of the great dads out there this Father’s Day.